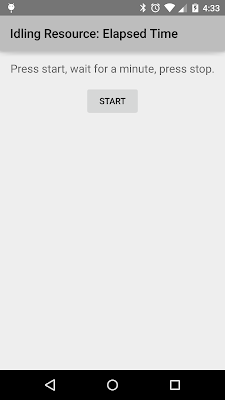 Since I started helping with GDG Boulder, I have been only organizing beginner events, especially for Android, because I sensed that the audience does not have a lot of Android experience. At our Android Hack Night in April, someone came up to me and said, "Can we have more advanced events? I haven't been coming because I am looking for more advanced material". I did a mental face palm when I heard that. Of course! I have been organizing beginner events. Beginners come. That doesn't mean we don't have members who want advanced events. I have been hungry for advanced Android talks myself, and should have just gone for it instead of tiptoeing around imaginary audience preferences. After hearing that I happily scheduled an advanced Android talk for June. Huyen gave an informative and entertaining talk on Camera2 API, and I really enjoyed it. I always ask people to tell me what topics interest them, but they never actually do. This time, my friend Dave Smith said he wants to give a way a couple of Android books, so we ran a raffle. To enter, people need to put in their name and also a suggestion for future event. I collected quite a few ideas this way. Win! My favorite part about going to conferences is to chat with people. I learn so much by talking shop. I was chatting with my friend Huyen about that, one thing led to another, and we ended up collaborating on a YouTube channel! I present to you Android Dialogs, where we have bite-sized conversations with people from the Android community. In our first episode, Huyen and I interviewed each other. Yes, the URL is awful. We need 500 subscribers to get a custom one. So, subscribe, pretty please? I have been reading a lot more graphic novels since I started sketchnoting. Right now I am reading An Age of License by Lucy Knisley, a travelogue with delightful illustrations. 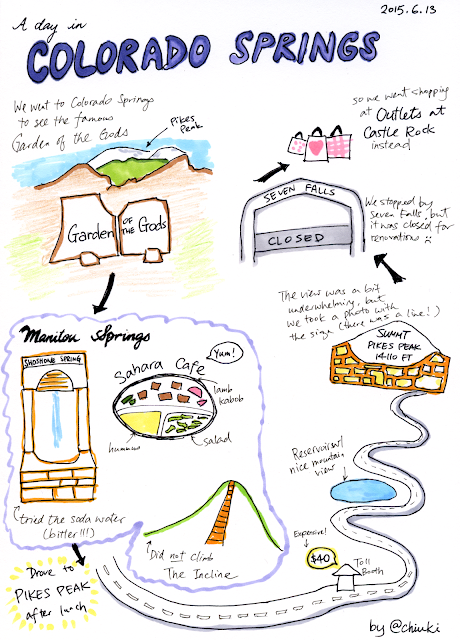 I am not even half done, and I already wanted to make a travelogue. So I did, with my trip to Colorado Springs last weekend! IdlingResource is a powerful concept in Espresso that is a little difficult to grasp. 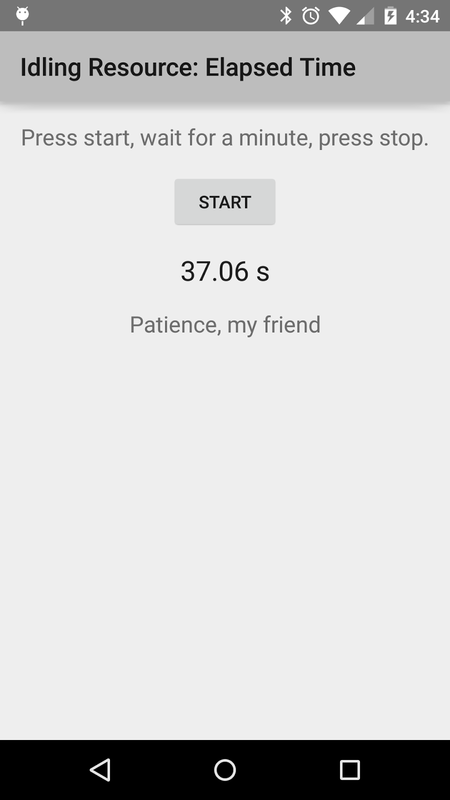 I have already written an example to wait for an IntentService to be idle, but I thought I'd write another example where it literally waits for time to pass. To test this, we need to ask Espresso to wait. We could use SystemClock.sleep(60000), but that blocks the testing thread. Instead, we write a custom IdlingResource. In the constructor, we save the current time, and also how long we need to wait. When Espresso wants to know if it should wait more, it calls isIdleNow(), which computes how much time has elapsed, and returns true if it is longer than the amount of time we need to wait. Besides the IdlingResource, we also need to change Espresso's timeout policies. 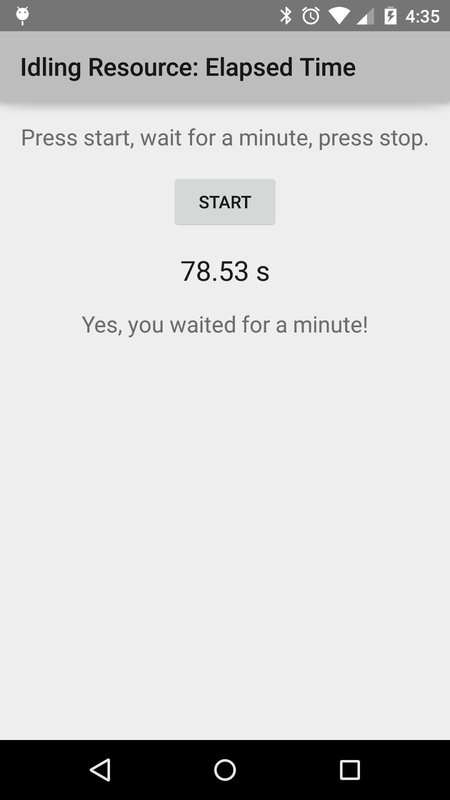 By default, Espresso times out the app if it has been idle for 60 seconds, and times out an IdlingResource that has been idle for 26 seconds. We change the timeout policies to be twice our waiting time to make sure Espresso does not kill our test. If you run this test, you will notice that the IdlingResource does not wait for the exact amount of time you specified, but slightly longer. 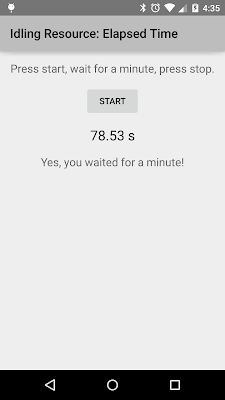 Espresso waits by periodically checking if everything is idle, and your resource is only idle after the amount of time you specified, so it is guaranteed to wait for at least that long, but it could, and usually does, wait longer. Check out the source code for a full example. Pay attention to see how the test cleans up by resetting the timeout policies and unregister the IdlingResource. And of course I said yes! Such an honor to be on the podcast. And fun! I asked Chet how I should prepare. He said, just come up with a few topics to talk about, and they'll take it from there. We met for lunch before the recording, and I started listing the topics. I was explaining how Monkey Write scoring works, and Chet stopped me mid-sentence. "Save it for the podcast, " he said, "It gets boring when you talk about the same thing twice in a row." I was rather nervous to just go on air without any rehearsals. What if I have nothing to say? Or worst, what if I blurted out something stupid? We started chatting, and before I noticed, we were done. All in all it went pretty well. Give it a listen and let me know what you think! I got a Nexus 9 tablet from Google I/O, which is really exciting because that means I have a device to install Android M Developer Preview. Google is hosting What's New in Android: Hack@Home this Friday to talk about M, so I want to make sure my device is ready before then. Download the volantis image from https://developer.android.com/preview/download.html. Unzip it (tar -zxvf filename.tgz on linux). 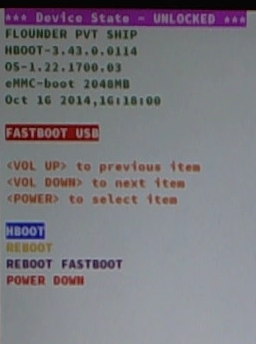 Navigate to the unzipped image directory (For Nexus 9, it starts with volantis). 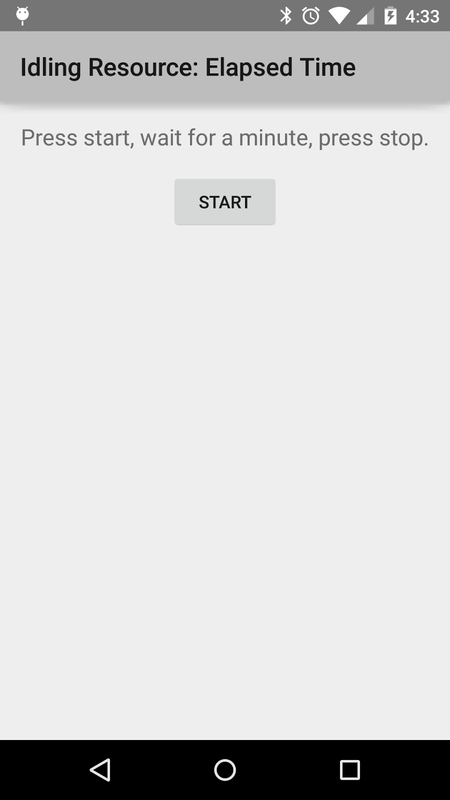 Become a developer by tapping Build Number 7 times. Wait for 5 minutes or so. And voilà! 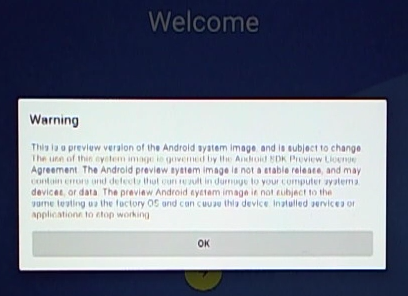 A dialog warning you that this is a preview. Exactly what we want. 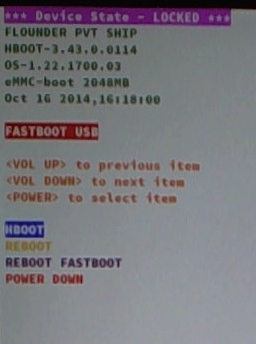 Lock again with adb reboot bootloader, then fastboot oem lock, then disable OEM unlocking from developer options after reboot. 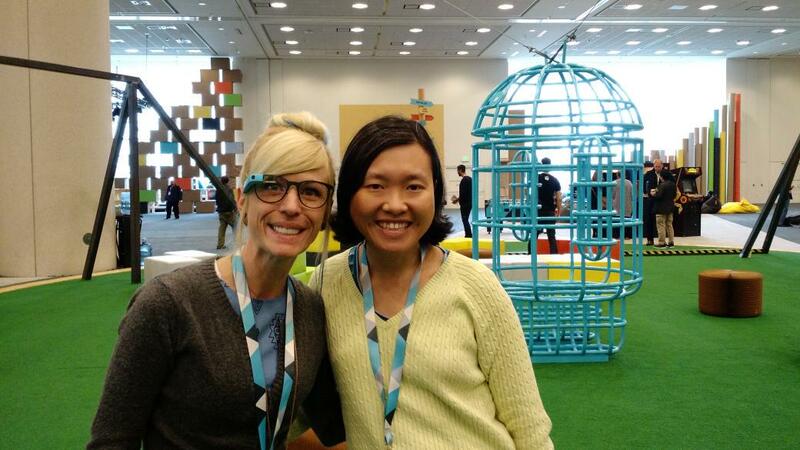 One of the most exciting things at Google I/O this year for me was to meet Virginia Poltrack in person. 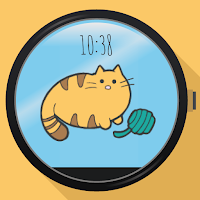 Yup, not only that she is an amazing illustrator, she has made watch faces before! Once I explained my idea to Virginia, we both got really excited and started working right away. Our goal was to launch before I/O, and we did it! Twice, in fact: first with just the cat, and then with pedometer integration. At this point we have only worked together online, so we were really looking forward to seeing each other at I/O. 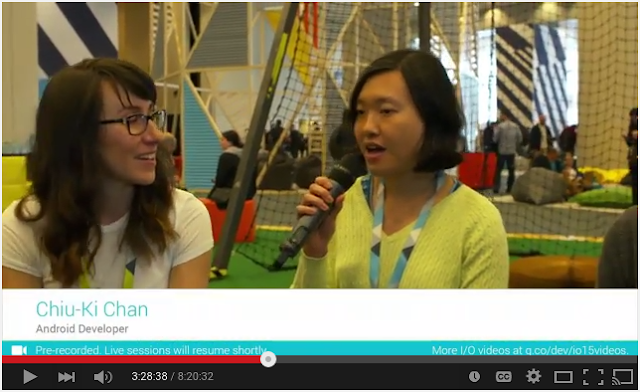 Then Natalie Villalobos from Women Techmakers gave us a wonderful surprise: she interviewed both of us about Fit Cat! Google I/O was a perfect place to test Fit Cat since I tend to walk a lot during conferences. I snapped photos of it throughout the day. My friends started doing the same, and it was so heartwarming to see Fit Cat everywhere! It has been such a pleasure working with Virginia. We are already plotting our next projects together, so stay tuned!